One of the key reasons that the Football World Cup captures people’s imagination is because everyone can watch each match as they are broadcast on free-to-watch channels. This means it is a collective, national experience. Imagine what it would be like if the World Cup matches were just on Sky and the rest of us had to make do with just highlights? It would be rubbish. But this is exactly what has happened to Test cricket since the ECB sold the rights to Sky back in 2005. Just this week, the first Test Match against Sri Lanka at Lord’s ended in unbelievable drama. England needed two wickets to win in the final over. Stuart Broad got a wicket with the first ball and then with two balls left the last Sri Lankan batsman was given out LBW and the England team celebrated wildly. But the decision was immediately reviewed by the batsman and the replays showed he had hit the ball and the decision was reversed. England failed to win by the thinnest of margins. It was Test cricket at its absolute best. But how many children actually watched it and experienced the drama? It was this kind of excitement which enfolded in just about every match in the iconic 2005 Ashes series where England regained the Ashes for the first time in 18 long years. Every match was a classic and every single ball could be watched on terrestrial TV. It was a series that did more for the popularity of cricket than any other in history – the vast crowds and passionate support made it feel almost like a religious revival. I was at the Oval with my brother on the final day to see the famous win and I will never forget it. The next day I was in Trafalgar Square to see the open top bus tour. It was scenes that I never imagined would happen – cricket breaking into the realm that football normally occupies and loads of children, men and women sharing in the celebration of victory. But right at the moment of biggest opportunity came the worst decision. For this amazing series was the last one ever to be broadcast on free-to-watch TV. I am sure there was a good ‘business-case’ for the decision – but the implications have been disastrous. England won the Ashes four years later. Sure, the series was not as exciting but the key difference was that a tiny fraction of people could actually watch it. Cricket fans celebrated but there was nothing like the public buy-in. I know plenty of people will point to the good things that Sky have done. The coverage has improved with loads of new technology and investment. But, as with football, will more money really help the game itself? As I see it, the few have done well and the many have lost out. The thing is that good, live international cricket is the best marketing that the game can possibly have. The legendary status of the 2005 series or others such as Botham’s 1981 Ashes would never have happened if only a few could have watched it. The BBC coverage enabled the country to experience the thrill and drama: free to watch TV means that the national team can be owned by the nation. But those days are gone. 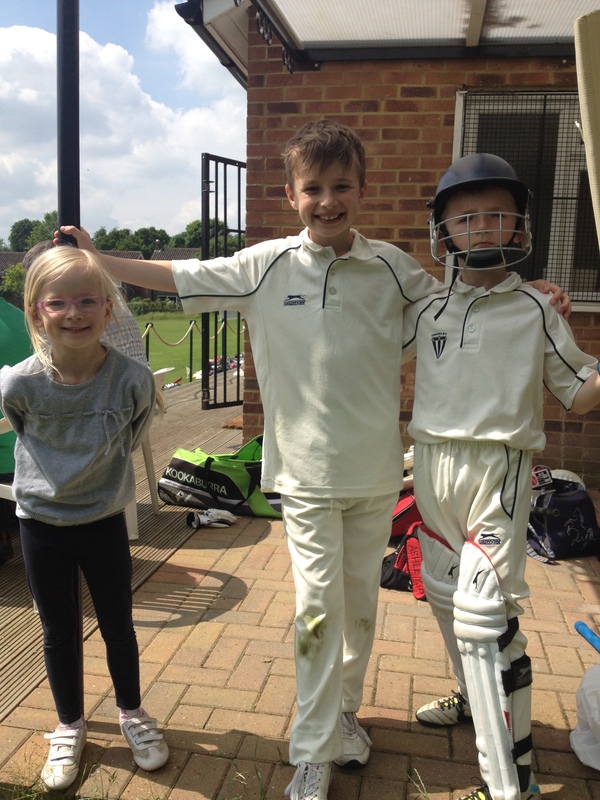 This season I have just taken on the management of the under 11s cricket team which both my boys play in. Their enthusiasm for the game has meant that half the team is now made up of kids from their school. We have had a run of four incredibly exciting matches which have all gone down to the last over. It has been brilliant to see kids in state schools being able to have the opportunity to play proper cricket. And this is not because cricket is unpopular. As we see with twenty20, the game has enduring appeal but too few are getting the opportunities to watch it and even less the opportunity to play it. Something I know for sure, is that if more kids had been able to watch the amazing end to the Test Match this week, then more kids would want to experience that kind of drama for themselves. I can see these points and would add that even if you have Sky it is really annoying that if you go on holiday during the summer you don’t get to see the cricket unless you go to a pub to catch some of it. BUT on the other hand, we mustn’t be dewy eyed – especially about the BBC coverage which was always very patchy being shared with covering Wimbledon, Racing, Athletics which meant that vital moments frequently weren’t seen – Gooch for instance reaching 300 in 1990 at Lords. Hourly news and weather bulletins (ironically introduced because of the competition from Sky News) were also annoying and resulted in Richard Illingworth’s wicket with his first ball in Test Cricket in 1991 being missed as well. The BBC also never invested in covering tours so exciting finishes to these Test Matches were never seen by the public here. Even Channel 5 whose coverage between 1999 and 2005 has never been bettered (Sky is appalling amateur in comparison) would cover racing instead for a large part of Saturday afternoon and in the end were happy to lose the cricket because of its disruption to their early evening programmes when matches overran. It is disappointing to hear that the Sky millions have not resulted in more junior school cricket in Croydon but I believe this is the case elsewhere and women’s cricket, in particular, has become transformed by the huge influx of money the deal brought the ECB. Thanks Steve – fair points but I would say that however dire Tony Lewis and Jack Bannister were as commentators back in the 80s at least the cricket was available and consequently more in the public consciousness. With regard to schools cricket there has clearly been a rise in initiatives such as ‘Chance to Shine’ and ‘Urban’ and ‘Kwik cricket’ but much of it uses soft balls which the kids can whack miles but which is a long way from proper, hard ball on a grass pitch cricket. My boys have been representing their school in a Lambeth competition that I went to watch and a lot of the standard was shocking. Kids of 10 and 11 bowling underarm and throwing the ball when bowling and coaches/umpires who frankly did not have a clue. A lot of them are watching the IPL on ITV4 so there are plenty of Dil-scoops and switch hits but many can’t play a proper drive…. And also I should add thanks for that ticket to the Oval on that last day in 2005! Completely agree Jon. It was the 2005 Ashes that started my interest in cricket: an interest which since has blossomed into following Lancs in the county cricket and asking for a shirt for my birthday. I went to my first test match a couple of years ago, at Edgbaston against the West Indies, albeit on a stag do and dressed as Boris Johnson. The problem for me is that I follow the live text on BBC Sport and listen to TMS when I get the chance, but so much of the jargon and tactics is completely lost to me, as I don’t have the chance to see visually the effects of what they mean, and the effects they have. So whilst I can smile and nod when people talk about playing around the wicket or whether someone is good in a certain batting position or not, it means next to nothing to me, and the culture of cricket banter is rather a locked door. That’s the intangible effect of giving the rights to Sky Sports – shutting people out from the deeper level of understanding of the game. I don’t know how I can get this without getting involved with a local side (who, seeing as I’ve never played cricket, would have to he rubbish to accept me), or taking out a small mortgage to get Sky Sports. It’s sad. I hope to encourage my own hypothetical children into cricket in later life, regardless of gender, but if it isn’t played at their school then I don’t know how effective my efforts will be. thanks ‘El’ – great to hear of your ‘conversion’ and your first experiences of Test cricket dressed as the Mayor. One good thing despite the lack of schools cricket is that many clubs are quite well focused towards young people so I am sure you can find one when the time comes! I agree completely with you – the chase of money outweighed the sense of it being a national game. I think the drama of Kevin Pietersen bypassed most people because they no longer follow the national team (let alone the county scene) and so saw it as being irrelevant. Thanks Andrew – yes good point. My kids were gutted that KP was sacked – they could not believe he was there at Lord’s watching. I blame the BBC for this state affairs. Its head of sport seems only to be interested in what SHE wants rather than what the viewers want. Strange isn’t how money can be found for “wimmin’s football”? All part of a PC agenda, rather than a sporting one. Come on, BBC, get rid of drivel such as the Voice, Masterchef, Antiques Roadshow, Strictly. And don’t get me started on the soaps. Now is the time for the Government to intervene. Too many of our sporting treasures have been stolen by Sky. Enough is enough!